Last night I finished one of the most fun projects I’ve ever done. 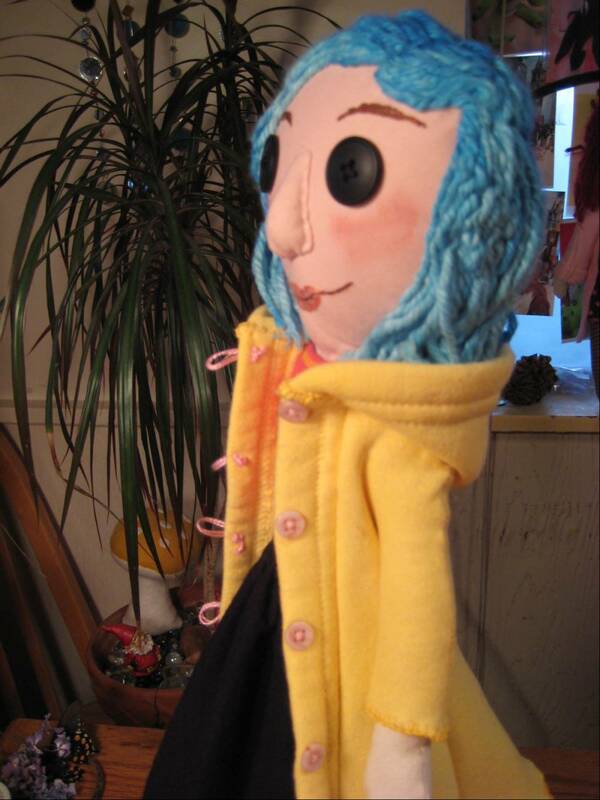 I made a custom Coraline doll for Renee and daughter, Rosemary in Louisiana. You remember the soft blue hand-dyed cotton yarn hair? It looks great on the head. It is a pleasure to slowly fit it stitch into its place. I loved the colors and soft materials I used. Rosemary, the girl who will receive the doll is two years old. She is a beautiful child and was the real inspiration to make this doll extra special. 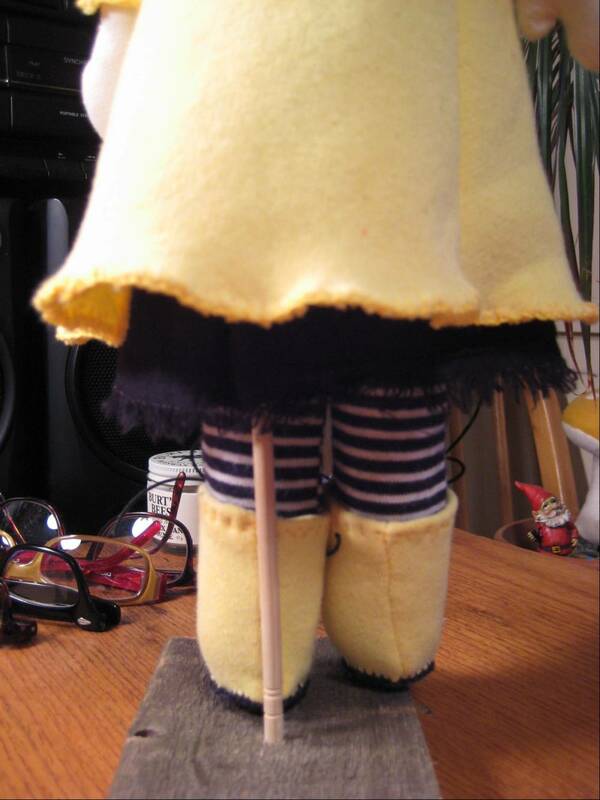 This doll will be an Easter surprise. Lucky doll girl. 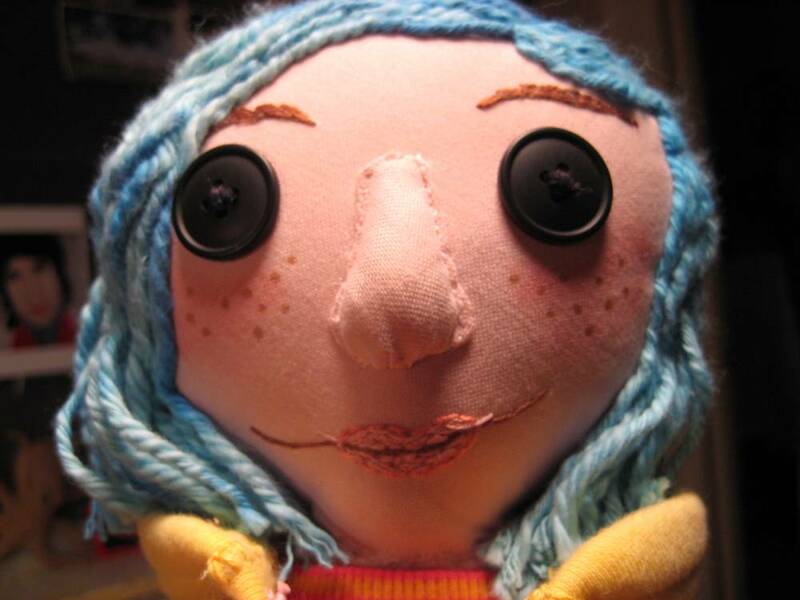 In the pictures I used as references the Coraline doll has ears but I sorta like her without them. She’s prettier without. It will be sad to see this doll go but I know she will be loved. Rosemary’s mom said so. It was super fun making the crazy, cool boots. It’s the first time I made eyelets. 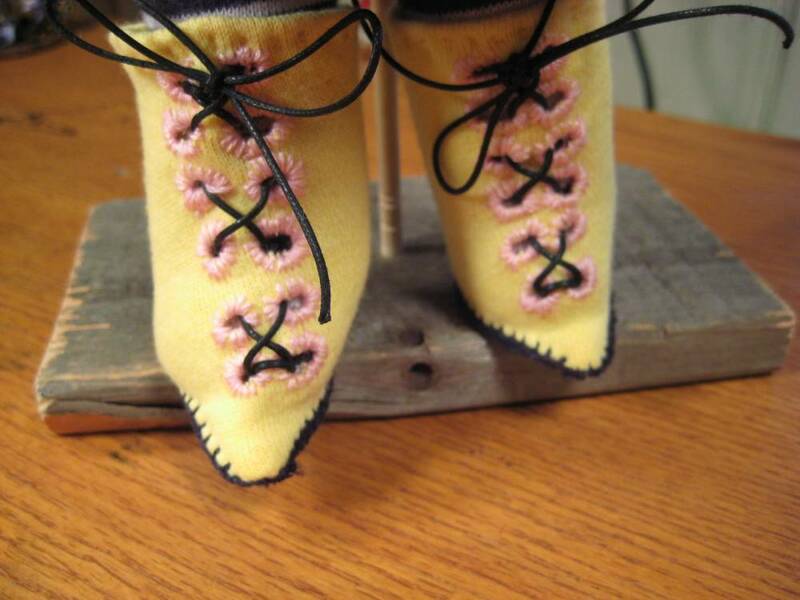 Some of my other dolls may now have feet. I’m seeing some Victorian dolls with pointy little black shoes and long dresses. That means under garments, too, lots of pantaloons and petty coats. I’ll keep my eyes peeled at the thrift stores.